Brand New! 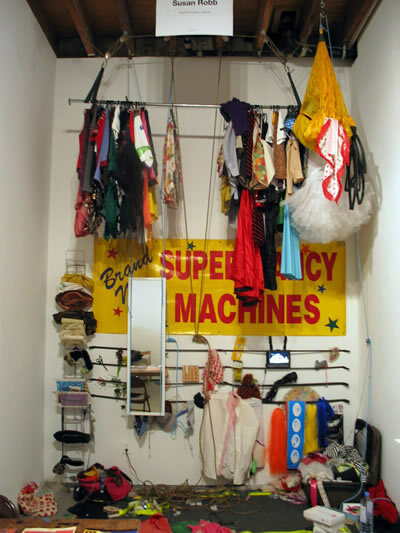 Super Fancy Machines makes its mark in the style wars by acting as an interactive wardrobe reprogramming experience. Brand New! 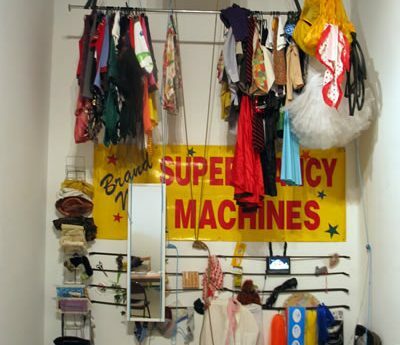 Super Fancy Machines conspires to help the participants shed the slavish addiction to conventional fashion, reclaim autonomy, and reinforce a more personal relationship to style. 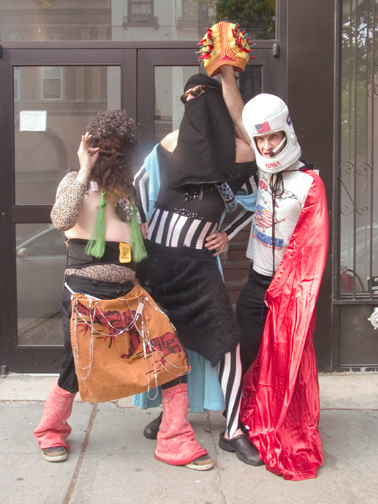 Through spontaneous transformations of its inventory, BN!SFM creates immediate, one-of-a-kind ensembles that rediscover the participants hidden super powers and essential personality.